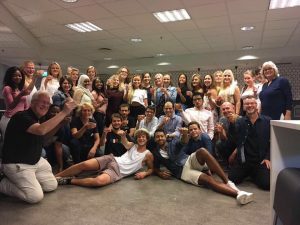 This year OPTIMAX, a 3 week residential summer school, was hosted by Oslo and Akershus University College of Applied Sciences, Norway, during July and August 2017. 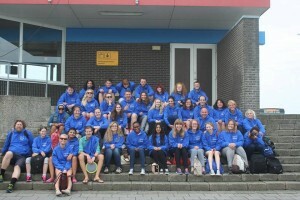 This was the 5th rendition of OPTIMAX and to date 189 students and 65 tutors from 12 countries have participated in it. The purpose of OPTIMAX is to give radiography students a chance to participate in multinational team-based research. This is consistent with providing a near to real life experience, because quality research is often conducted in multinational teams. Each OPTIMAX team comprises students and tutors and they work together on an equal basis; tutor-student contact is extremely high and tutors spend around 40 hours per week working within their research team. This has significant benefit to the student learning experience as they receive constant feedback and support throughout the entire research process. OPTIMAX commences with the development of effective [research] teams; it then progresses rapidly to doing research about medical imaging. The latter includes formulating and testing methods, gathering and analysing data and finally producing outputs (draft journal paper, physical conference poster and also a PowerPoint presentation which is delivered on the final day in a formal conference). Beyond the conference a book is published in which the research articles become chapters; the abstracts are always submitted to the European Congress of Radiology (Vienna, Austria) and normally they are accepted for presentation. All student participants become authors, which is an important first step in establishing a professional CV. So far 3 books and 14 journal papers have been published and also 29 conference presentations have been delivered (see Appendix I). Another book and 4 conference presentations are planned to arise from this year’s summer school. Participant countries this year included Norway, Switzerland, Netherlands, Brazil, South Africa, Portugal, Ireland and the UK (University of Salford). As always students gained immense benefit from the experience, not simply in terms of the research skills and knowledge they acquired but also through learning about other cultures. There is always a high emphasis on learning about the host country and this is achieved through formal and informal activities. Examples of formal activities include cultural trips on Saturdays; informal activities include student-led social events organised in the evenings. Each research team is multicultural which can comprise 7 or 8 nationalities and we have found that simply working in such a team allows for the development of intercultural awareness and understanding. OPTIMAX is an intense target-driven experience. Each week day runs from 9-5 and often the students and tutors need to do additional work in the evenings and at the weekends. Production of the 3 outputs is essential as failure to do so would result in a fail; all students are awarded European Credit Transfer Scheme credits and a certificate but these can only be achieved if the 3 outputs are completed and reach the pass standard. Not surprisingly OPTIMAX is a tiring experience, but the approach is fully consistent with how researchers work to achieve their goals within strict deadlines. Nevertheless it is a very rewarding experience. The funding model was originally based on a successful Erasmus grant. This paid for travel, accommodation and subsistence for tutors and students for the first two years. From then on it became self-sustaining with no need for external grant funding because good value for money was sought in various ways. For instance, the host organisation does not charge for the use of its teaching / research facilities. Accommodation costs are driven down through the use of student accommodation which has self-catering facilities. Student and tutor participants give approximately £100 each to pay for lunch on all working days, a welcome and farewell party and the Saturday socio-cultural events, this approach allows for better buying power / value for money. OPTIMAX 2018 will be held in University College Dublin and planning will commence in September 2017 with monthly Skype meetings by members of the multinational steering committee. The OPTIMAX 3 week residential research summer school started in 2013 at the University of Salford with Erasmus IP funding. Five countries participated and these were its founder members (Portugal, Switzerland, Norway, UK and the Netherlands). In 2016 OPTIMAX returned to the University of Salford, after being hosted in Lisbon and Groningen in 2014 and 2015. This year we have 60 participants from 12 countries – South Africa, Iraq, UK, Norway, Netherlands, Portugal, Switzerland, Sweden, Ireland, Brazil, Vietnam and the Philippines. This year we anticipate that another book will be published as open source, with the chapters being reports of the research which is conducted in the summer school. As always we intend to submit the abstracts to the European Congress of Radiology, to be held in Vienna, March 2017.